The East Friesian dairy sheep originated in the Friesland area of Holland and Germany, where it was treated as the “house cow”, kept in small groups or sometimes alone. Over the centuries, a combination of good feeding and careful genetic selection helped develop high levels of production, both in milk yield and prolificacy. And the East Friesian’s close association with people probably helped developed it’s characteristic trusting attitude to its keepers and lack of nervousness. While other breeds are milked world wide, the majority by far are purebred or crossbred East Friesian. The East Friesian is a docile but greedy sheep which quickly adapts to a parlour routine. While other breeds are milked world wide, the majority by far are purebred or crossbred East Friesian. Since the first milking flocks were established, the East Friesian has adapted well to living in large flocks of up to 600 milking ewes, and has proven to be hardy under North American farming and climatic conditions. With regards to appetite, although proportionally smaller, the East Friesian ewe resembles her Holstein dairy cow equivalent, rather than her lamb-rearing sisters. This high level of feed intake is used to produce milk in the bucket rather than flesh on her back. The East Friesian ewe has been selected for high milk yields produced from mainly a grass diet, but supplemented by other feeds (concentrates, hay, silage and arable by-products). Depending on whether or not the ewe has been bred, the best ewes will keep milking at an economical level for 220-260 days or longer. Yield depends on many environmental factors as well as the innate ability of the ewe to produce large quantities of milk. Flock management and nutrition are crucial factors to enable the full genetic potential of the breed to be expressed. The ability for the ewe to produce large quantities of milk at peak lactation, up to 5-6 litres per day, and sustain a lactation over a long time period set the East Friesian apart from most other sheep breeds. 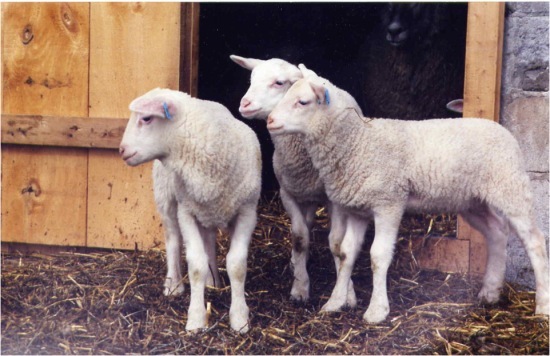 Timing lambing to occur before the spring flush of grass will allow peak yields, that occur soon after lambing, to be maintained by the rich spring grazing, and milking can then be maintained at an economical level until late in the year. The ability for the ewe to produce large quantities of milk at peak lactation, up to 5-6 litres per day, and sustain a lactation over a long time period set the East Friesian apart from most other sheep breeds. 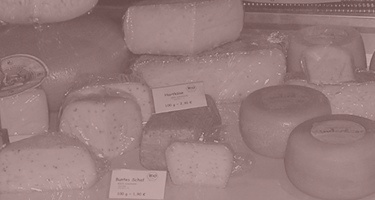 In comparison to cow and goat milk, sheep milk contains a higher level of total solids, making it ideal for cheese making. Butter fat levels of the East Friesian vary from 4.5%-6% in peak lactation, to 9-10% in late lactation. Super elite ewes will produce yields of 700 – 1000 litres in 265 days. A good flock average is 400 litres per ewe with an average lactation length of 220 days. Yields will be less in the first lactation and peak in 3rd, 4th and 5th lactation. The East Friesian is extremely prolific, the mature ewe flock bred under natural conditions in the UK averages 242% lambs weaned. Ewe lambs average around 185%. East Friesian rams have been used to cross with native breeds to improve both prolificacy and milk yield for the production of lambs for slaughter. While the pure bred East Friesian does not produce a meaty carcass, the fat is laid down internally rather than subcutaneously and growth rates are high. 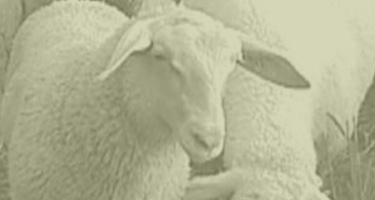 The adult produces a fleece that is pure white, 3 – 6 kg, 10 to 15 cm staple length and 30 microns. The fleece is valued by hand spinners and weavers. In Holland, the East Friesian has been crossed with the Texel to produce the ” Swifter”. Swifter ewes are mated back to a Texel ram. The result is 200% lambs weaned, more rapid growth rates than pure Texel and top grading carcasses under the EC carcass classification scheme. 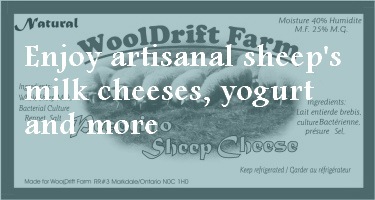 Owned and operated by Chris Buschbeck and Axel Meister, and our two sons, WoolDrift Farm is situated between Markdale and Meaford in beautiful Grey County, Ontario. 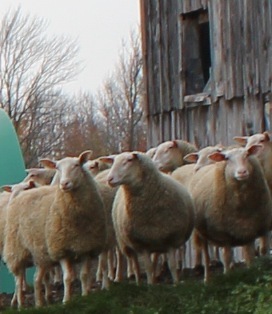 We began milking sheep in 1995 as one of the first commercial sheep dairies in Canada. Axel Meister is a founding member of the Ontario Dairy Sheep Association. He has served as president of the Ontario Dairy Sheep Association and vice-president of the Canadian Dairy Sheep Association.